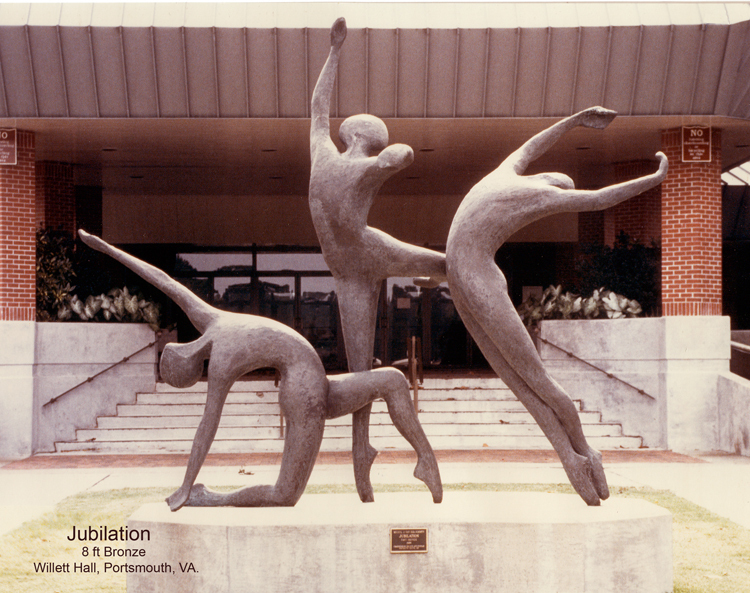 Jubilation was designed especially for Willett Hall in Chesapeake, VA. The design is a setting of three of my already-existing sculptures. Although it was originally my intention to make the sculpture more realistic, the Willett Hall committee wanted it made in the way I presented my model during the competition, which was smooth, but was only made that way due to the scale of the model.